Description: A free customizable vehicle flash card template is provided to download and print. 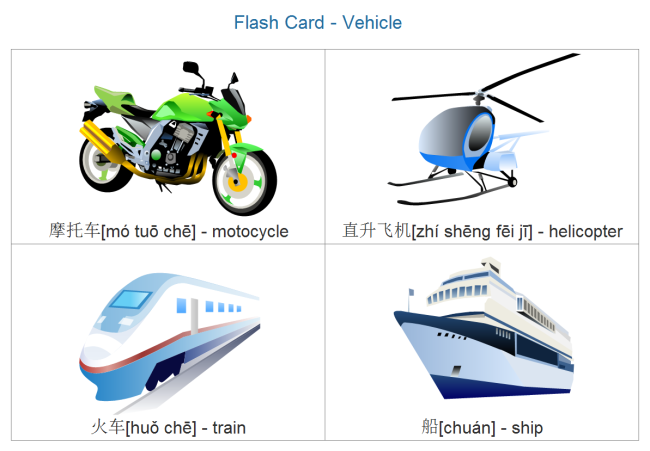 Learn Chinese about vehicles through pictures in the flash card. It also includes Pinyin easing your learning process. This example is created by Edraw Max, which is available in different formats.